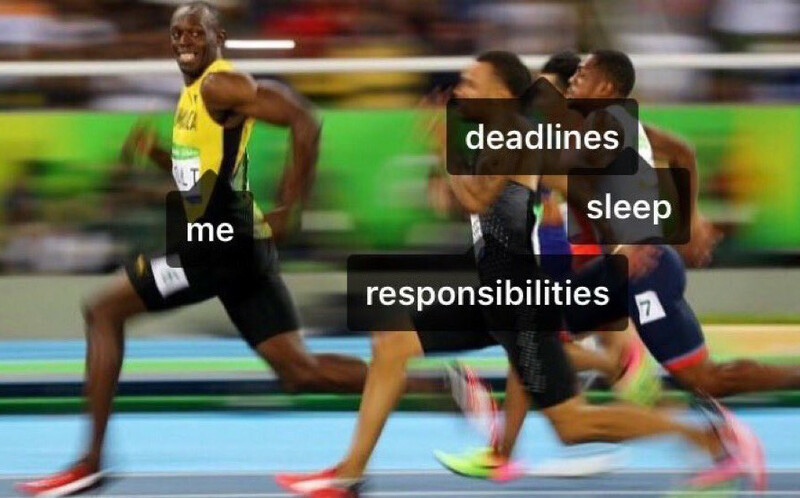 hahaha this photo of Usain Bolt smiling while out-running his opponents in the 100 meter race in the Rio Olympics reminds me a lot of me.... when I run away from deadlines, responsibilites and sleep! Are you as fast Usain Bolt as well? ?